If you are a member of the military and have been charged with driving under the influence (DUI) or driving while ability impaired (DWAI) in Colorado Springs or the surrounding areas, you should contact an experienced Colorado Springs military DUI defense lawyer right away. My name is Christian A. Schwaner, and I am committed to providing members of the armed forces who have been charged with DUI or DWAI with aggressive legal representation that yields favorable results. As a member of the military, you must be aware that a DUI or DWAI conviction can have serious personal and professional consequences. 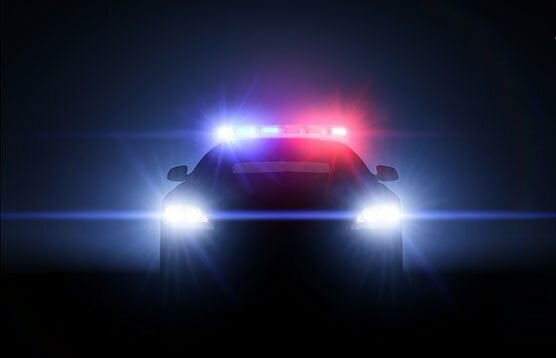 The civilian penalties for DUI and DWAI in Colorado include significant fines, license suspension, jail time, and mandatory installation of an ignition interlock device. You may also face a range of punitive and administrative actions by the military. Do not leave your military career to chance. As an experienced military DUI defense lawyer, I can help ensure that you do not suffer more severe penalties than you should. For a free and confidential consultation call me at (719) 599-9700. If you’re not ready to discuss your case with me, please take some time to review the information below. DUI and DWAI are serious criminal charges. A conviction can change your life forever, and may damage your military career. Many of my military clients have concerns about how a conviction for driving under the influence in civilian court will affect their military careers. These concerns are understandable, as a DWI or DWAI conviction can impact a service person’s standing in the military. The main question I receive from Colorado Springs military personnel regarding DUI or DWAI charges is whether they must inform their superiors of their charges. Typically, the answer is no. I work closely with my military clients to protect their military careers, and can guide you on the proper steps to take with respect to the chain of command. Denying you the opportunity to reenlist. While I cannot represent you in punitive action initiated by the military under the Uniformed Code of Military Justice (UCMJ), I can defend you against charges in civilian court. Working with a trusted military DUI defense lawyer can be critical in protecting yourself against the negative career implications associated with a conviction for driving under the influence. Christian handled my DUI case for me. My BAC was super high and he found a loophole that let me avoid jail time. I highly recommend. He was awesome! Contact me today. I am here to help. If you are a member of the military stationed at Fort Carson or living in Colorado Springs and have been charged with DUI or DWAI, contact me to discuss your rights. I help members of the military protect their careers in the armed forces, and will work tirelessly to defend you against DUI and DWAI charges in civilian court. To schedule a free and confidential initial consultation about your case and your rights as a member of the military, call the law office of Christian A. Schwaner, P.C. at (719) 599-9700.